Artist track 1, Artist track 2, Artist track 3, Artist track 4, Artist track 5 and more. This show was 1st in the global tech trance chart, 23rd in the global ambient chart, 24th in the global downtempo chart and 29th in the global chillout chart. Compiled & mixed at Rubycon Sound, June-July 2014. 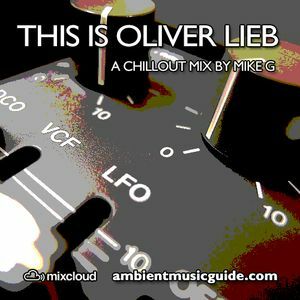 German composer/producer/DJ Oliver Lieb&apos;s enormous catalogue of electronic dance music is well known and widely covered. Far less known is a much smaller body of his work that could variously be called ambient, chillout or downtempo. Like his best club music it&apos;s original, uncompromising and often exceptionally good. Tracks in this mix date 1992-2014 including cuts from Inside Voices (2014, Psychonavigation Records), his first album in over a decade. The music in the mix comes from releases under both his own name and the pseudonyms L.S.G, The Ambush and Spicelab. * A detailed mix playlist including buy links to releases that are still available. * An in-depth interview with the man himself. First listen for this artist. Most impressive and enjoyable. Thanks Mike!! HIs new ambient album "Inside Voices" is great - one of my Best Of 2014. Lovely introduction to his work..
Half way through and highly enjoyable so far. Reckon I&apos;ll be back for part 2 interesting interview too. The only Olivier Lieb I have is Smoked Metropolis on vinyl. But funnily enough was listening to the clips of the new album and noticed the ambience. Open to give it a go.